The surgery will be closed between 1 - 3 pm on Monday 2nd December 2019 - all members of staff will be completing Basic Life Support, CPR and AED (defibrillator) training. As this is such a vital piece of training for all clinical and non-clinical members of staff, it will be necessary to close for one hour. Who to call when we are closed! Please telephone 01457 869090 and listen carefully to the message directing you to the appropriate service. Please do not ask to see a doctor out of hours unless you genuinely can't wait until the surgery re-opens. Immediately life threatening conditions, such as cardiac arrest, unconsciousness and breathing difficulties. Serious but not immediately life threatening conditions, such as traumatic injuries or fractures. You will need a webcam, a modern computer and a good broadband connection to use this service. 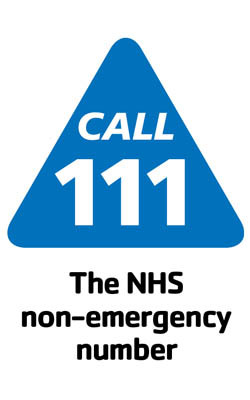 Visit NHS 111 BSL interpreter service for more details, including an online user guide. The walk in centre at Ashton Primary Care Centre is the new building opposite LIDL supermarket which is open every day from 8am to 8pm. You can contact them on 0161 342 7052. Here you can find advice and treatments for common illnesses, complaints, emergency contraception and minor injuries.